Your bounce rate might be high but that could be just fine! It’s one of those metrics so many webmasters fret over and it has generated endless blog posts about how you should reduce it in the name of SEO but should you even be giving it the time of day? Here I’ll cover why bounce rate matters if you understand what it really is, how to know if your bounce rate is real, what a ‘bad’ bounce rate really is and how to handle the dreaded increasing bounce rate! Does the bounce rate even matter for SEO? I sit firmly in the school that says “Yes it does”. I’ve turned round many a site and improved their rankings simply by reducing the bounce rate so I’m convinced Google uses this metric in deciding who should be at the top of the search results. Google itself recently published information on how its algorithm was moving increasingly to a ‘needs met’ approach. If you search for something, click through to a site and then go to do something completely different that is a strong signal that that site met your needs. Obviously if you hit the back button that is just as strong a signal that that site didn’t meet your needs or only partly did so. Without doubt, when it comes to SEO, bounce matters … but only if you understand it and that’s where I’ll go next. Is it a real bounce rate? What does that even mean? Well let’s say you get 10 visitors a month. Last month your bounce rate was 70% and this month it is 40%. Is it time to start popping the cork and celebrating a major step forward. Should you take to your blog and write about how you halved your bounce rate in one month. Unfortunately not. To draw a statistically valid conclusion you need at least 30 pieces of data, at the top level that means at least 30 visitors (although 50 would be better). Any less than 30 and its just not enough data to go drawing any conclusions. That’s why most opinion polls ask at least 1,000 people – to have at least a chance of getting a vaguely valid answer. If you squint your eyes at the results of opinion polls you’ll also see their small “/- 3” statement somewhere. In other words even thought they got answers from 1,000+ people that’s still not everyone so they admit their results could be wrong by up to 3% – known as the degree of error. It’s a statistical thing. Numbers matter … don’t draw conclusions on a handful of visitors. Is it a bad bounce rate? I had this conversation with someone on LinkedIn a while back. He pointed out that my How to SEO website had a bounce rate of 70% which he called “insane” while his blog was a shining example at 29%. Was I ready to bow my head in shame? Not quite. My LinkedIn neighbour had a religious blog on which he wrote about the glories of God and whatnot. In other words it is what we call a ‘bias confirmation’ site – visitors come to it because they have searched something to do with that theme and they want their opinion to be confirmed by others. This could be something like “Does God love me after I have sinned?” or “How can I be worthy of the after life?”. In reality they are looking for texts which confirm what they were thinking already which means pages that suggest that “God is alright with sinners (perhaps after a fashion)” or that “there is plenty of room upstairs if you’re generally a good person”. Once a person finds a page that confirms their bias they immediately form a relationship with the site. It is a ‘good’ site and they are therefore likely to go deeper rather than bounce. You won’t find many a believer asking “Does God love me after I have sinned?” finding a website that says “Yes” and thinking “That’s probably not right, I need to find some other opinions on this”! Non-believers don’t carry out searches that would lead them to such websites so you’re not going to get a situation where someone says “I don’t believe this” and reaches for the back button. These are the key reasons why any website offering any opinion has a relatively low bounce rate. I do it as well when it comes to politics. If I carry out a Google search I know which newspapers or blogs will talk the way I think. I’ll often end up on pages of The Guardian while I won’t even bother clicking through if I see sites like RT, Sputnik International or TASS in the search results. Factual sites are different. People need a fact – the time in New York, the size of Antarctica, How to choose your keywords for SEO. Once they have that fact they leave. This is why dictionary websites can have very good backlinks but bounce rates near 100%. So if someone tries to tell you that their bounce rate is ‘good’ and your bounce rate is ‘bad’ consider the type of sites you are comparing first. Ecommerce is one of those fields where high bounce rates are almost inevitable. People shop around for price, quality and product variations. Talk to the owner of a physical shop and you find that they are not bothered about how many people come and go, they are bothered about how much they sell. You should be to. In ecommerce your conversion rate is far more important. If 2 to 4% of your visitors are buying you’re on the right track regardless of your bounce rate. That doesn’t mean you should do nothing – you should be drilling down in Google Analytics for user groups with unusually high bounce rates and addressing those issues – but not obsessing with the impossible. Whose bounce rate is important? In short, when you consider your bounce rate you should be using your competitors as a yard stick. A factual site will never have the same bounce rate as a bias confirmation or ecommerce site so don’t even try. On the flip side don’t think that because your bias confirmation website has a bounce rate lower than an ecommerce site you can take to your hammock, content with a job well done. It is your competitors you need to beat. But what if your bounce rate is on the up? Is everything going horribly wrong? Perhaps but knee jerk reactions can cause far more damage. You need to understand why the trend is occurring before tinkering. Google Analytics helps you slice and dice your data in endless ways so you can find out if there is a particular sector of your visitors who are leaving more often or particular pages on your site that need to be updated because their not cutting it anymore. The classic case in recent years has been a rising bounce rate caused by visitors using mobile devices who find the content of non-responsive websites fiddly to read and so go elsewhere. Again, remember the magic number 30. The more you drill down to investigate, the lower the visitor numbers become and so the less confident you can be in what you see. The other most common area where bounce is driven up is in referrals. If you find you are getting a whole lot of bouncing traffic coming from websites like freebuttons.com these are spam robots. Nothing to be concerned about – you can remove this junk data from your Analytics by following the instructions on this help page. If Analytics yields no obvious answers you might need to marry up data with the Google Search Console by investigating which pages on your site are driving the increased bounce rate and then finding out what they rank for. It’s not uncommon to find Google ranking you for something you don’t want to be ranked for. In this case it just takes time for Google to come to the same conclusion – bear with it and all will come right. Lowering your bounce rate as much as you can is important. Well presented content and clear calls to action are key here but there are limits. You will never achieve zero bounce. Instead look at the bounce rates of your competitors. You can find this data in Alexa for some sites but again tread with care. Bounce rates for websites far down the Alexa scale (outside the top 1,000,000) are likely to be based on very little data and so statistically invalid. If none of your competitors are there search out the top sites like yours (e.g. 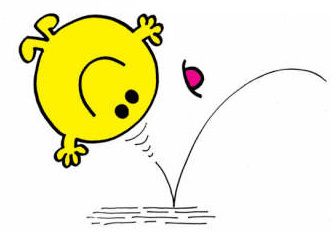 blogs, ecommerce, etc) to get a rough feel for the kind of bounce rate you should be expecting. The Telegraph, for example, is one of the most popular websites in the world but (at the time of writing this blog) it has a bounce rate of over 70% … but then so do most of its competitors so no big deal! Your focus should be on trying to go that one bit better than your competitors and then move on to other SEO tasks where your time is better spent.